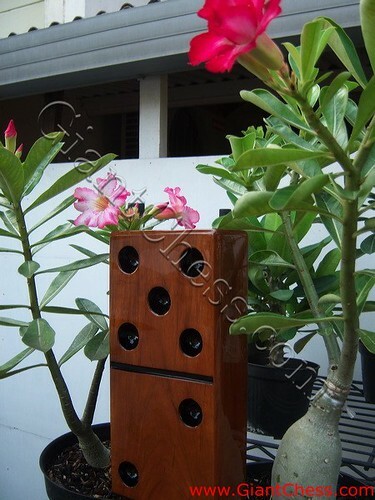 Giant domino is an exotic wooden handmade craft for patio and indoor decoration. This wooden handmade has polished as natural wood color. It because our craftsman are very expert in finish various kind of handmade product, so this giant domino looks heavy but easy to move. We present the different one from other. This wooden giant domino is very interesting and perfect if you use it for your patio decoration. Show your love towards your family by decorating your house with this beautiful giant domino.